The Liberal Party of Canada has cancelled a Christmas-themed fundraising promotion to win "the ultimate dinner party" with Finance Minister Bill Morneau. In an email to supporters today, the party's acting national director Christina Topp said all donations raised by the promotion will be returned. Guess who's not coming to dinner? 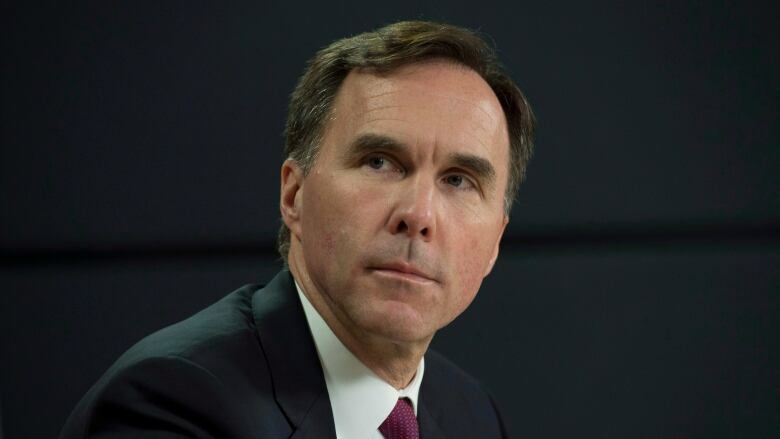 Finance Minister Bill Morneau, that's who. The Liberal Party of Canada has cancelled a Christmas-themed fundraising promotion to win "the ultimate dinner party" with Morneau. In an email to supporters Thursday, the party's acting national director Christina Topp said all donations raised by the promotion will be returned. Topp did not elaborate on why the promotion was put on ice, but the move comes a day after CBC News reported that conflict of interest and ethics commissioner Mary Dawson was looking into the promotion. In an email to supporters this week, Morneau urged people to donate up to $250 for the chance to have dinner with him, although the email said a donation was not required to enter the contest. "This is what real change is all about — it's just you, me, your guests and great conversation over a delicious meal. I can't wait!" Top bidders would also receive an "exclusive" Justin Trudeau cookie cutter. The Liberal Party did not consult the ethics commissioner before offering the chance to have Morneau show up at their home with food. On Wednesday, Topp said the party always ensures all rules are followed. In this case, Topp said Liberals were mindful to allow anyone to enter even if they don't make a political donation and not to give preferential treatment or access to any person or organization by, among other things, randomly selecting a winner. But best practices outlined in a Privy Council Office document, Accountable Government: A Guide for Ministers and Ministers of State 2011, say ministers "should ensure that fundraising communications issued on their behalf do not suggest any connection between fundraising and official government business." The party's promotions inviting the public to win dinner with Trudeau, the Liberal Party leader, before he became prime minister, were a popular and effective fundraising tool. Read the original Liberal Party email below.